I have invented nothing. I have simply documented a magical alchemy that I want to share. The whales do not sing because they have an answer. They sing because they have a song. Gregory Colbert (born 19 April 1960) is a Canadian a film-maker and photographer best known as the creator of Ashes and Snow, a traveling exhibition of photographic artworks and films housed in the Nomadic Museum. 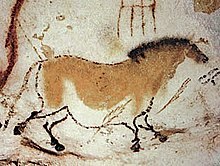 If you look at Paleolithic cave paintings, you see how people were depicted inside nature, not outside it. It was a kind of dream time. That’s what I’m exploring. I spent all my time at school in the library. Bad teachers can teach you to learn on your own. The stars you see at night are the unblinking eyes of sleeping elephants, who sleep with one eye open to best keep watch over us. In the next 25 years, the human race will have to decide whether or not to preserve the bestiary of Nature’s living masterpieces. Ashes and Snow is not meant to tell people to do some things and not to do other things. It’s meant to inspire. I hope it’s not a requiem. Nous avons besoin de renégocier notre contrat avec la nature. L'écologie est une force d'union qui peut diminuer l'intolerance et augmenter notre empathie envers les autres—avec les humains comme avec les animaux. We need to renegotiate our contract with nature. Ecology is a unifying force that can diminish intolerance and expand our empathy towards others—both human and animal. He has realised a vision with an eloquent message, delivered without commentary or caption: if we didn't know before what we are obliterating, we do now. Colbert’s work feels timeless and sacred. It resonates with a luminous, essential wisdom speaking through the ages. . . . Colbert’s work operates in a parallel universe to ours, an earnest, refreshing, post-ironic world where pure wonder and awe still reside. Until now Gregory Colbert has been that rare artist who goes out of his way not to be noticed. He was represented by no gallery, he held no exhibitions for a decade, and he gave no interviews. He was in a sense a secret artist, though the secret was shared by a small group of wealthy private collectors who, through acquisitions and sheer enthusiasm, helped to finance his work. He needed this help. In his quest to photograph the mystical relationship between humans and animals, he made 27 lengthy trips to distant corners of the world over nine years. He was usually accompanied by a support team, supplies and equipment. He even rented oceangoing vessels for months on end. In brief, it was both costly and complicated to produce images of great simplicity.